your number one option for a round of golf in Rush City, Minnesota. You will not find a better option for a memorable round of golf. Here at Bulrush Golf Club, it is our goal to provide an outstanding golf experience by consistently exceeding our members and guest expectations in terms of quality, service and value. We work hard each and every day to operate with the highest standard of integrity, professionalism and fiscal responsibility. 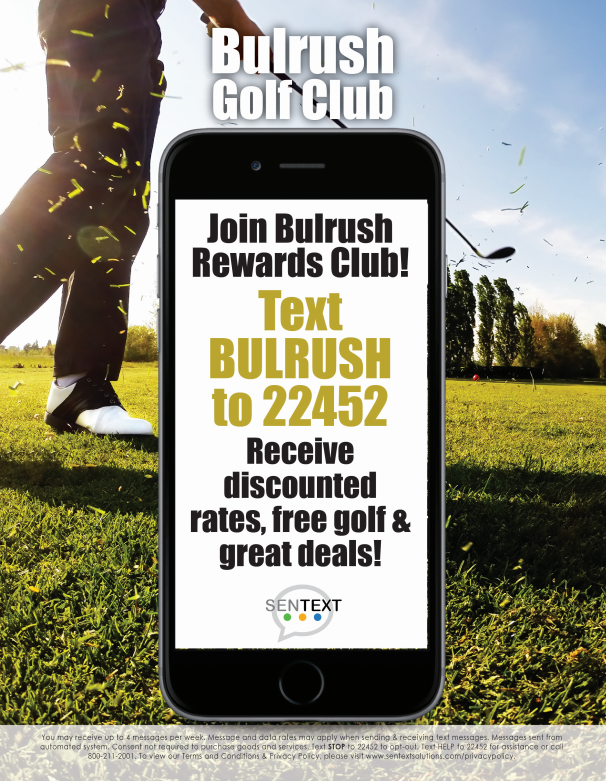 Here at Bulrush Golf Club we offer exciting membership opportunities, fun group outings and a comfortable atmosphere at Rush Hour Bar & Grill.